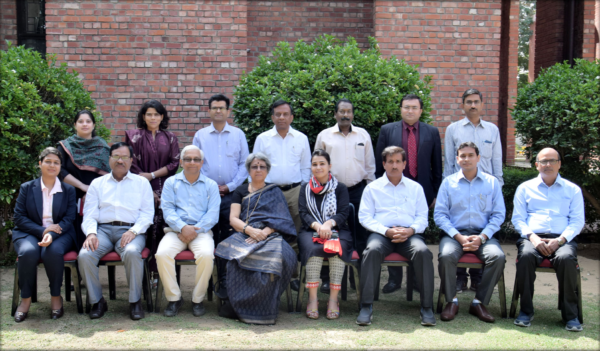 Partners For Transparency Foundation India (PTF India) with the support of Management Development Institute (MDI) Gurgaon organized a three-day residential program, titled,” Making Procurement Transparent and Efficient: Global Best Practices “from 25 April 2018 to 27 April 2018 at MDI Campus in Gurugram (Haryana). Total 10 participants enrolled for this certificate program, it was a diverse group, having representation from public as private sector. Representatives from State owned Public Sector Undertakings (PSUs) Mahanadi Coalfields, Indian Atomic Energy, Hindustan Petroleum, BSES attended the program. assigned for the classroom presentation. Understanding and identifying common irregularities and red flags in procurement. Understanding the contemporary legal framework guiding procurement: CVC Guidelines, General Financial Rules (GFR), 2017, competition laws, contract management, due diligence, etc. Understanding bidding process for World Bank (WB) projects as per the WB framework 2016. Emerging trends in public procurement and tools to ensure transparency: e-procurement and role of technology, Integrity Pact, reverse auction, etc. Understanding role of procurement to ensure transparency in infrastructure sector in India. Insights into international good practices on procurement: World Bank procurement process, integrity pact, opens contracting, Asian Development Bank (ADB) Procurement Guidelines etc. Country-wise good practices: Mexico, EU Member Good Procurement Practices, Ukraine, Philippines, etc. Understanding risk management in procurement and modes of sustainable procurement. Representative from ADB and from UN Global Compact Network India, also interacted with participants. Participants received a certificate of participation at the end of the program, during valedictory session, the session was chaired by Shri A.K Poddar CVO RITES. The over all feedback from the participants is encouraging and we are planning to hold a similar certificate program in the month of October 2018.